Proud Pioneers, KWV, are celebrating their 100th Birthday this year and to mark the occasion, they are delighted to offer 2 lucky readers the chance to win a mixed case of some of their finest products. One runner up will win a bottle of the delicious Cruxland Gin. KWV is one of the leading wine and spirits producers in South Africa and has a distinguished heritage of product innovation and exceptional brands. From its earliest roots in 1918 as a small co-operative of growers - Proud Pioneers with the vision to improve wine industry standards and quality in South Africa - KWV has today grown into a global producer of over 100 products. The grapes are sourced from the most sought-after viticultural regions of South Africa and the bright and award-winning winemaking team has a strong commitment to quality, earning them a loyal following of discerning consumers both locally and abroad. 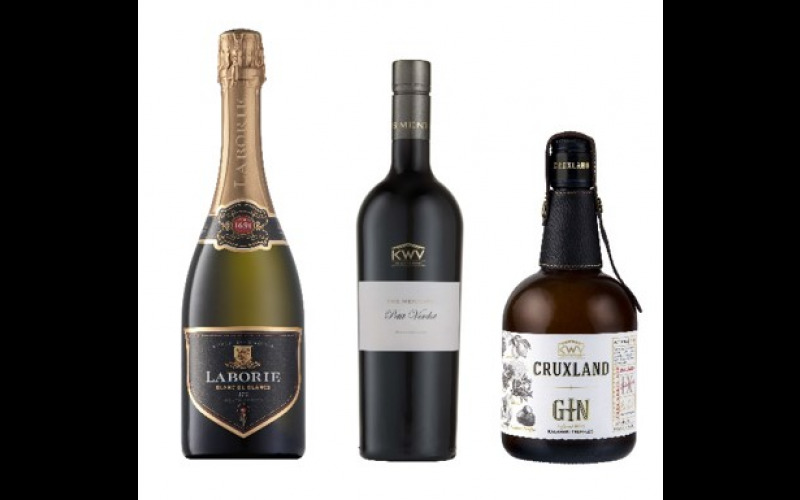 The mixed case will include 2x bottles of the delicious Mentor’s Petit Verdot, 2x bottles of their sparkling Laborie Blanc de Blancs and 2x bottles of their Kalahari truffle infused Cruxland Gin.